I promise you, there will be sunshine soon! And with that thought in mind I am sporting a pretty springtime dress for you all! Vinted? Who are Vinted? - That was my exact reaction when an e-mail popped up in my inbox a few weeks ago! Vinted is an awesome community where us girls (or ladies!) can buy, sell & trade clothing safely and easily! It is growing daily and really taking on eBay with its easy system and fab bargains! 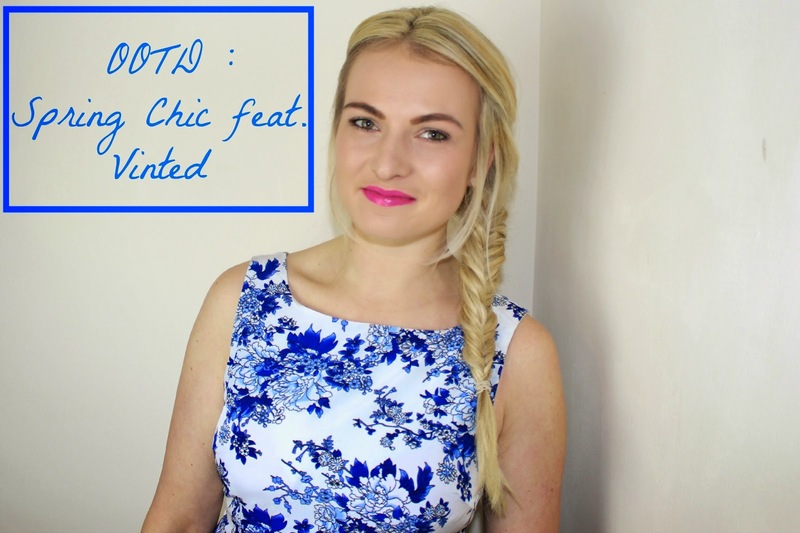 The lovely people at Vinted choose this dress out for me to style - so lovely of them right?! I normally get quite nervous with skater dresses that are a bit "poofy" as I'm scared they make me look bigger than I am (and I'm already paranoid about that enough as it is!) but I'm really happy with how this one sits, it has netting but isn't overly flouncy! 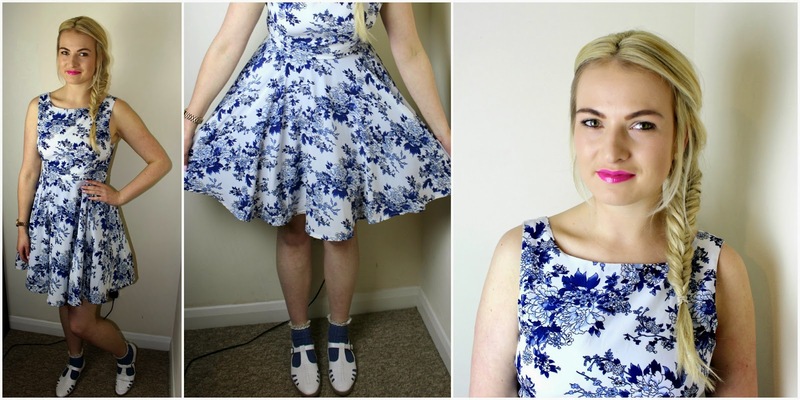 The shoes are from the ASOS sale - super cute for summer and the socks from Primark I chucked on because they match the colour of the flowers! Make sure you check out Vinted - here - I could browse it for hours, great quality clothing, shoes and accessories... none of that searching 'through the crap' like on eBay! I am also LOVING fishtail plaits - I think they look so pretty, I'm so glad I can finally do them! 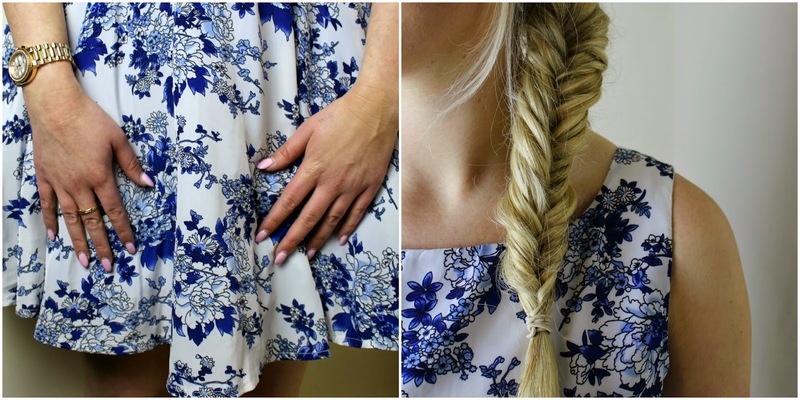 Love the print on your dress and the plait looks great! Well aren't you a babe! I love this print though, you'll be perfectly dress come spring! That patterned dress is gorgeous - I love it!